Can you answer this fun question about Holiday Songs? Where would you go to hear Silver Bells? Wednesday, December 5 – Clay and Ruben will be guests on the 4th hour of The Today Show. The hosts are Kathy and Hoda. What a great way to let people know about Ruben & Clay’s Christmas Show!! Thursday, December 6th – Clay and Ruben will be guest on the ABC show, The View. Every time Clay has been on The View, it has been a great show. It seems like the ladies of the show really enjoy him! I can tape them and see them when I get home!! Do you remember when Clay was working on BOLD? Carrie Sheffield was the owner of this political show. 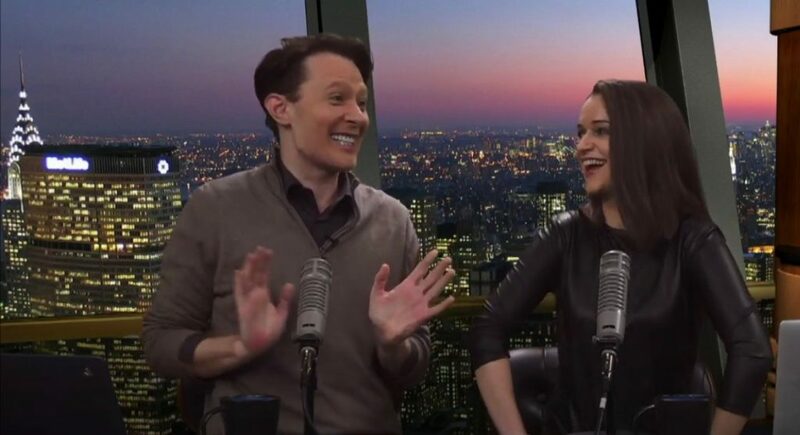 I know that she enjoyed having Clay on the show and he did a great job talking to all the guests! Wish Happy Birthday to Clay Aiken: Get Tickets to His Broadway Reunion with Ruben Studdard! Even as we celebrate our own third birthday here at Bold, today is also a very special birthday: our very own Clay Aiken! Not only is his singing voice a national treasure, Clay also has a smart, thoughtful speaking voice that carries Bold along our startup journey. We love Clay’s belief that compassionate, bipartisan dialogue is possible and the only way forward to unite our country. Clay turns 40 today, and we celebrated by purchasing 40 tickets to his special Broadway Christmas show for friends of Bold. We hope you’ll join us in wishing Clay a Happy Birthday as well! What a nice way to celebrate Clay’s birthday!! BroadwayWorld has been very supportive of Ruben & Clay’s Christmas Show. They have written about on their website a few times. On Saturday, they posted another excellent article that includes a very nice video. BWW TV: Ruben and Clay Get Merry and Bright to Preview Their Broadway Holiday Show! 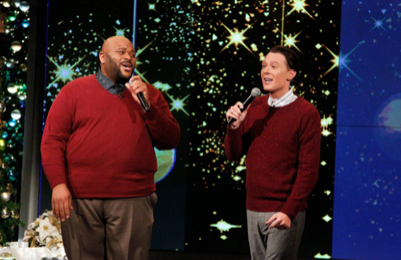 Ruben Studdard and Clay Aiken join forces for a monumental, one-of-a-kind Holiday spectacular Broadway show. A family affair, the spectacular will see Ruben and Clay journey through a fusion of holiday music and entertainment featuring lighthearted comedy, astounding versatility and, as always, Ruben and Clay’s magnetic stage presence. “American Idol’s” fan favorite odd couple will give fans the reunion they have been asking for when the duo takes to the stage for this limited engagement holiday event. The extravaganza marks the first time Ruben and Clay have performed together on a national stage since their dramatic finale in 2003. In true holiday spirit, the duo also aims to give back with tickets benefiting the National Inclusion Project, the leading voice for the inclusion of children with disabilities. Featuring everyone’s favorite Christmas songs, performed by two of America’s most beloved music icons, sprinkled with hilarious scenes and sketches and a live band, there is something for the entire family. So…enjoy the video and let BroadwayWorld know you enjoy their support! Click on the arrow to see the video!! Thank you so much for starting my Sunday with this special segment of Clay and Ruben being interviewed and singing! Have a great day all! Thanks for Ruben and Clay, I love these guys, they will give us a wonderful Christmas we will remember. I get such a kick out of seeing Clay & Ruben interact with each other. Thanks for posting this. I'm wondering if they will be on NBC on Wed. since the coverage of President Bush's funeral will be taking over the airways at that time of the morning. Error: Error validating access token: Session has expired on Tuesday, 21-Aug-18 16:13:01 PDT. The current time is Friday, 19-Apr-19 05:42:02 PDT.